Finding Intimacy in a World of Fear is written in the context of 9/11 and the Katrina hurricane-events that have transformed much of the nation marked by a climate of fear. Individuals may not understand nor know how to cope with their fears, but marketers, media, and politicians certainly understand how to take advantage of fear and use it to sell products, gain attention, and win election support. This has us doubting our abilities to cope, not trusting anyone, and unable to become intimate with other people. This reduces life to simple risk management. Law offers a journey through the landscape of fear and a path to follow and minister for Jesus in trust and intimacy. He sees how fear operates in our lives, how we address fear through rituals, rules, and technology, and the roles we find ourselves in as fear-exploiters, fear-bearers, and fear-conquerors. Law seeks to lead us to follow Jesus in becoming fear-miners, discovering in our fears gifts and possibilities for ministry. 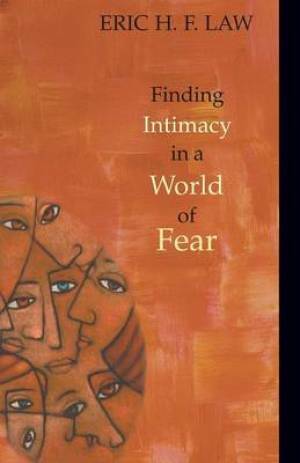 Finding Intimacy in a World of Fear by Eric H. F. Law was published by Chalice Press in January 2007 and is our 58387th best seller. The ISBN for Finding Intimacy in a World of Fear is 9780827210417. Be the first to review Finding Intimacy in a World of Fear! Got a question? No problem! Just click here to ask us about Finding Intimacy in a World of Fear.